Every time we pass through Waterford, we reconnect with old friends. Chris Freeman joined us during our trip down the flight of locks to Renssalaer, Art reconnected with local historians, and we had a visit from Russell Van Dervoort, author of Canal Canaries. Some of the crew even made new friends – Jean Belisle on his walk into Troy (12 miles!) connected with a group taking a tour of a bell foundry, and was able to share some of his knowledge of historical architecture with them. One of the exciting parts about our visit in Waterford this year was the chance to see the replica Onrust. 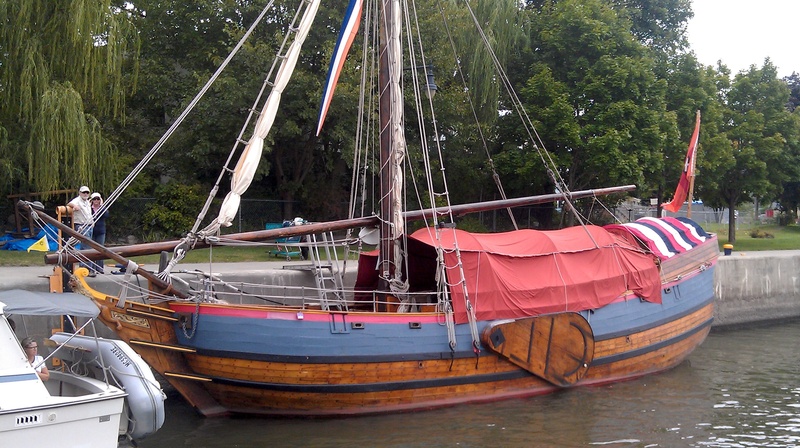 This boat is a recreation of an early Dutch exploration vessel, and is something that provokes double takes from everyone that passes by. Her high sides, huge sprit-rigged mainsail, and a bow that’s almost as blunt as that of Lois make for a very distinctive boat. While the weather did not favor our public hours, those that braved the rain brought good cheer and great conversation to the boat. 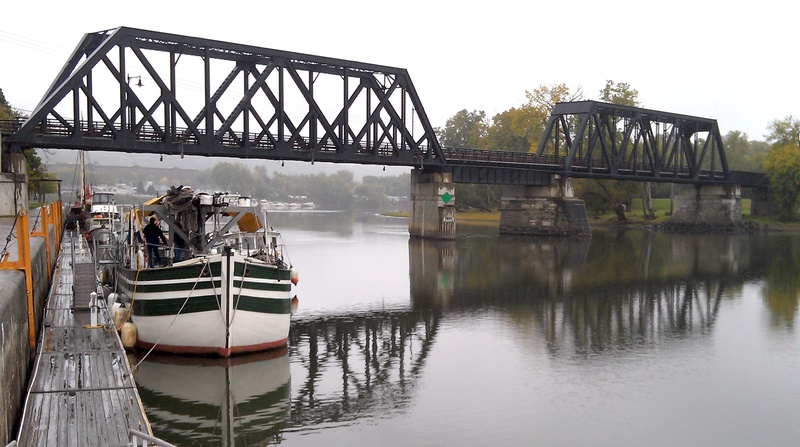 Waterford lends itself to interesting chats about how the waterways intersected, why the canals were so important, and all the supporting pieces to the infrastructure of the commercial era. Being able to explain the canal system and then point to the remnants of the original flight of locks helps make a powerful connection for people. I always look forward to being docked at Waterford.